"Beat the heck out of the ingredients and watch baking time. One hour usually does it. I don't know where I got this recipe, but I've had it a long time. I think it's great!" This was very similar to the cream pie that my Mother used to make. This was very good, but not quite as good as Mom's. 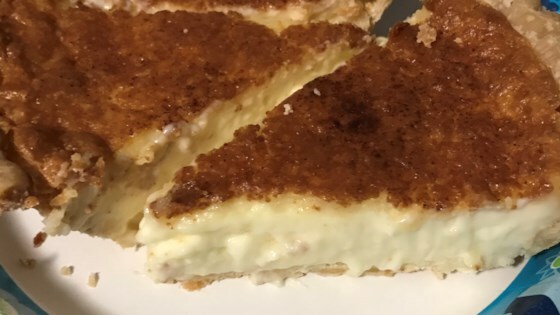 Anne B.
this CUSTARD is just wonderful!! I add flaked coconut and a tsp of vanilla for my family.